A plan for a new twin tower residential project on the Brunswick Street Mall in Brisbane’s Fortitude Valley has been submitted. EG Funds Management has submitted a new development application to create a twin tower residential property at the current site of the OptusCentre. The plan includes an apartment building holding 192 one bedroom apartments (54.4 per cent of occupancy), 146 two bedroom apartments (41.4 per cent of occupancy) and 15 three bedroom apartments (4.2 per cent of occupancy). 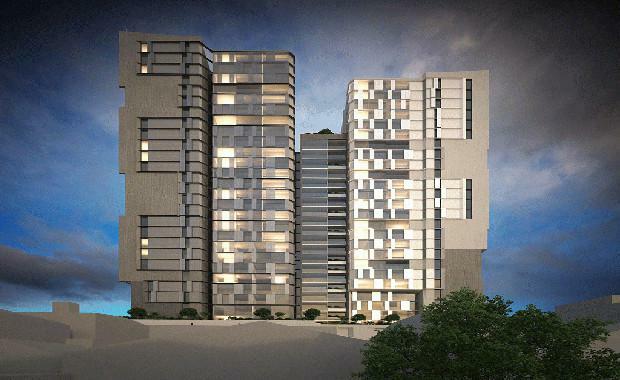 The total number of units equates to 353 units spread out between 30 storeys. Jackson Teece, who also commissioned to design the Icon Milton Development, is state of the art including not only the 353 units, but also four retail tenancies and a communal terrace area. The current three level Optus building has an occupying area of 2 521 square metres. The entire site has a floor area of 38 500 square metres with a height limit allowing for 30 levels.